Malta is famously known for being the location of choice for film productions like Game of Thrones, Gladiator and World War Z, but the island is now being recognised for its business-friendly environment. Here, Jonathan Grech, director of industrial automation at JMartans Automation explains why the Maltese economy is thriving and what to expect in 2019. Malta is at the cross roads of contrasting economies and cultures. Its strategic location allows it to serve as a hub to the European Union and Middle East and North African (MENA) markets. In fact, Malta’s economy was one of the strongest performers among EU member states in 2017, with an average growth rate of 6%. With Brexit looming, 2019 will undoubtedly see British and European businesses battle the effects, with no clear understanding of its impact for the long-term future. Along with the country’s growth, the technology employed in Malta has rapidly developed in the last decade. With new technologies emerging every day, it’s not expected to slow down anytime soon. One such technological development is Blockchain. Defined by Don and Alex Tapscott as being “an incorruptible digital ledger of economic transactions that can be programmed to record not just financial transactions but virtually everything of value”, the Maltese government believes the technology could bring exponential improvements to the island’s transportation and education systems. Globally, there is a lot of speculation on the role of blockchain for the development of Industry 4.0, but some companies are already combining blockchain solutions with 3D printing and other processes to create new manufacturing trends. It’s for this reason that Malta is welcoming more technology start-ups and blockchain-based businesses in 2019, and we expect other countries to follow suit. The recent surge in the adoption of Ethernet communication protocols across the world has led to forecasts claiming that the IO-Link market will significantly continue to grow. IO-Link is an open standard serial communication protocol that allows for the bi-directional exchange of data from sensors and devices to various networks and fieldbuses. In the coming year, we expect that more companies outside of Malta will be aware of the advantages of integrating IO-Link systems. One such benefit is that IO-Link systems do not require any complicated wiring. Instead, devices can be connected using the same cost-effective standard unshielded 3-wire cables as conventional I/O applications. An additional benefit is the wealth of data made available through the IO-Link. With access to sensor-level data, plant and facility managers can monitor the operation of system components. This data can then be used to streamline device replacement and plan machine maintenance accordingly. Both of these reduce costs and the risk of downtime. We are seeing greater steps being taken by companies towards ‘intelligent manufacturing.’ Just as managers are turning to IO-Link to merge operational technologies, we’re seeing technologies, like safety light curtains and two-hand function devices being employed to improve the safety and efficiency of complex manufacturing equipment. For example, when a machine operator is required to use both hands to initiate and continue a machine cycle, two-hand control devices are required to keep the user at a safe distance from any hazardous movement of the machine. If one or both hands are removed from the control, then the machine comes to an automatic halt. 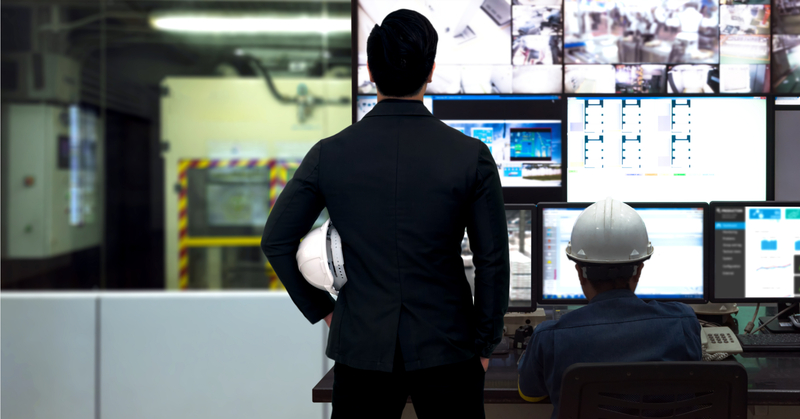 While safety should always be a priority, newer technologies like these are making it easier for manufacturers to find and integrate the right device for their facility. This reduces risk to the final product, employees and equipment. These are just some of the trends and technologies JMartans expects to drive businesses, not just in Malta but across the world in 2019. While the battle to retain a competitive advantage might not be as gruesome as those witnessed in Game of Thrones, businesses can avoid it altogether by implementing the latest technologies as part of their manufacturing process.